The traces team would like to extend our appreciation to three museum patrons who have successfully identified one of the three unknown objects in the ‘instruments without a trace’ case. 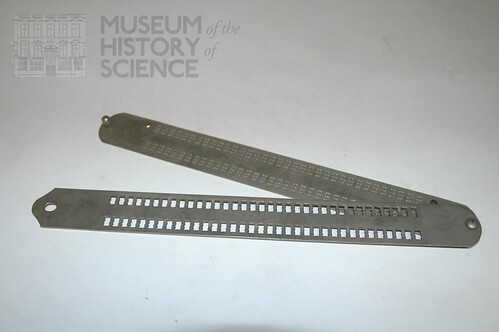 Mr. Nick Davies was the first to suggest that object #10948, the unidentified pivoted metal plates, had something to do with Braille writing in a blog comment. 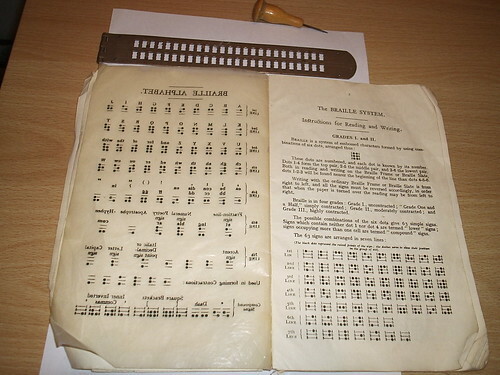 Alexander S. Mentis, Major, U.S. Army, directed us to several websites which showed us how a Braille slate was used with a stylus to emboss paper. It was our first bit of visual evidence. 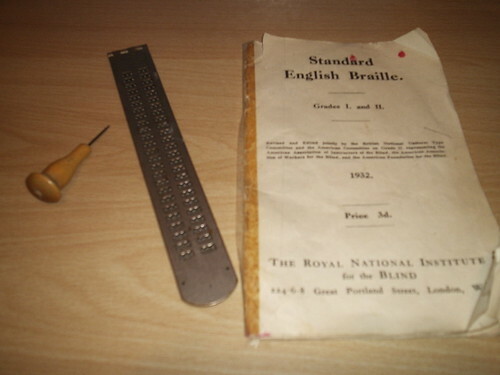 “I immediately recognised the object, 10948, as a Braille Writing frame. The MHS can now add this information to the object record. Many thanks to Mr. Davies, Major Mentis, and Mrs. Kellett for making this possible. 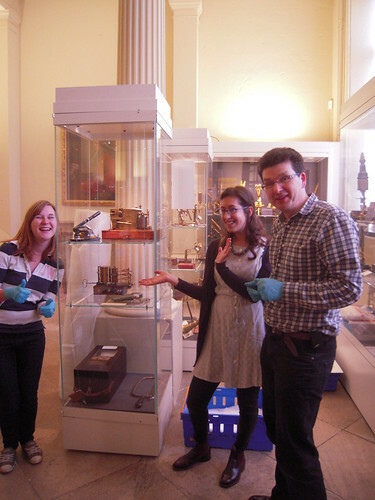 Can you help us build on this success by discovering the uses and stories for our other two mystery objects? Please feel free to leave any ideas in the blog comments. While collecting the instruments for the exhibit, a question often crossed our minds: “Who are the people who left traces on these objects?” For some of the objects, it is unknown who left the traces while others are associated with specific individuals. In our search to find out more about the people who may have left these traces, we were able to locate information on one person in particular, Mr. Frank Arthur Bellamy (initials F.A.B. on the instruments). F.A. Bellamy was born in Oxford in 1863 to a family that later became very involved with the Radcliffe Observatory. Two of his brothers worked as assistants at the Observatory as did Mr. Bellamy. While working at the Observatory under E.J. Stone, Mr. Bellamy focused on meridian work as well as meteorology. The initials F.A.B appear on two of our exhibit items. The first is the Euclidian geometric model that was most likely part of a group of instruments used by the Savilian Professor of Astronomy. 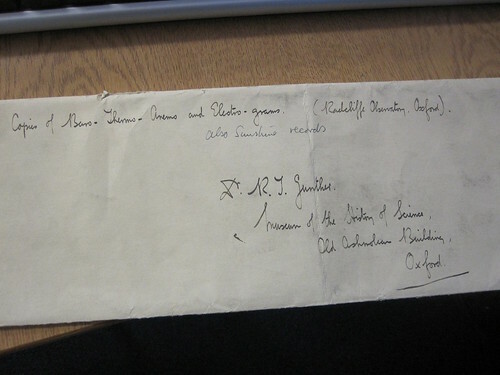 Mr. Bellamy, after his time at the Radcliffe observatory, worked with H.H. Turner who was a Savilian professor of Astronomy at Oxford. Perhaps it was during his time working with Professor Turner that Bellamy became acquainted with this instrument and allowed him to identify it and have it restored (interestingly, it was restrung by his niece, Ethel F. Bellamy who also worked in the Radcliffe Observatory). The other trace left by Mr. Bellamy was on the unidentified piece of wood that only reads “Keep/of historical interest/F.A.B.” In addition to working with Professors at Oxford, Bellamy was, himself, a fellow of the Royal Astronomical Society and published his own articles in scholarly journals. These traces help us understand the history of some of the objects (such as the Geometric model) while also allowing us to learn about the man, F.A. Bellamy, who wrote them. 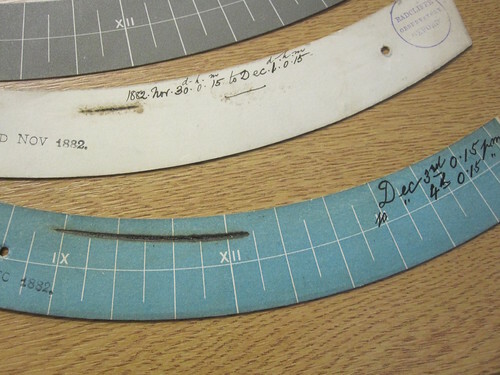 In this way, traces can ensure not only that instruments will be remembered and kept but that people who create the traces can be remembered as well. Sources for this post can be found in obituaries for F.A. Bellamy here and here. He was also in a list of recently deceased fellow in the monthly notices of the Royal Astronomical Society, which can be found here. An Obituary for Ethel F Bellamy, F.A. Bellamy’s niece, can be found here. 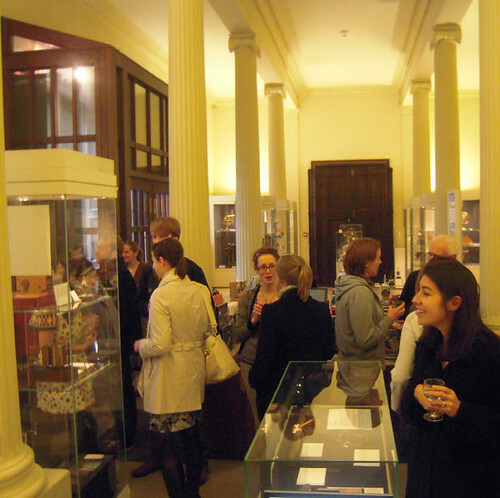 On April 23, 2012, 30 people gathered at the History of Science Museum in Oxford to celebrate the opening of Traces. Pictured above are the proud organizers of the exhibit, who were overwhelmed by the turnout and the positive response to the objects and narrative after their months of hard work. We were also very excited about how many people had comments about the different objects and their organization in this particular exhibit. 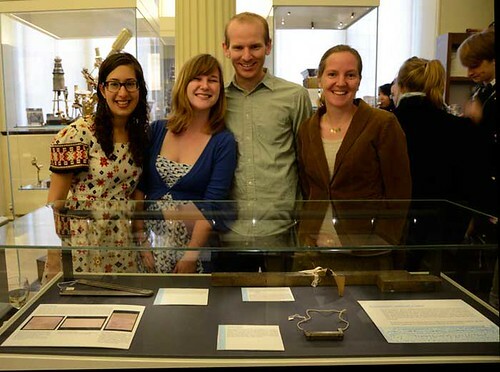 People found the Objects Without Trace section especially thought-provoking, as we had hoped. We have already received multiple comments on the blog with suggestions as to what these mysterious instruments might have done, and who may have used them. All in all, it was a great night full of discussion, wine, and appreciation for these historical objects. We are sad that the curating process is over, but excited to continue this work through our blog and see how other visitors react to Traces! 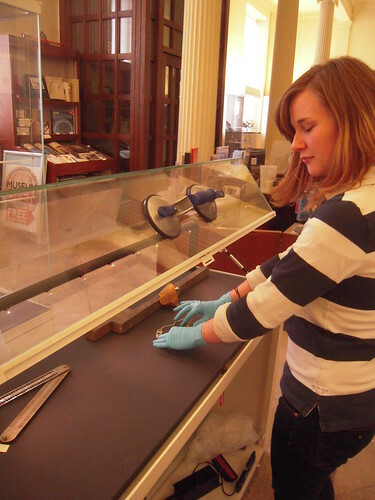 We chose three artifacts for display in the “Instruments Without a Trace” case, for which we have little or no information regarding their use. Photos of these mysterious items and their exhibit labels are shown below. Maybe you can help us identify them. Please share your ideas with us! Sometimes traces left on instruments can actually provide more confusion than clarity. This piece of wood seems ordinary but it was wrapped and labeled ‘Keep | Of historical interest | FAB’. It is unknown if this refers to the piece of wood itself or an object that the piece of wood was part of. It might have come from Oxford’s Radcliffe Observatory because it is likely FAB refers to F. A. Bellamy who worked at the Radcliffe Observatory in the late 19th century. If not for the label, this piece of wood would have not made it into the museum’s collection. 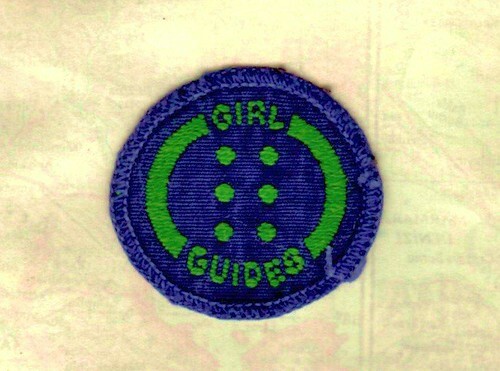 In this instance, the trace created an unknown historical object rather than helped with the identification process. This gauge dates from circa 1200. 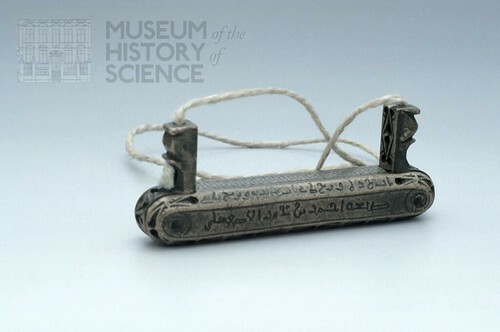 The writing on the side of the gauge tells us the name of its maker followed by an inscription stating ‘There is no god but God [and] Muhammad is the Prophet of God.’ It is numbered along the side from 1-19 and so may have been used as a measuring device. An object might have been placed between the two end-stops, which have the ability to rotate 270°. However, neither the shape of the instrument nor the inscription give any hint as to what it was used to measure. The name really says it all for this mysterious instrument. The two bars can snap together or be separated. Is something supposed to be pressed in between? Why do the holes in one plate align with six dimples below? The questions are numerous, the answers few. On April 2, 2012, while the museum was closed to the public, we got together to assemble the “Traces” exhibit. Since most of the items came from storage, it was our first time to see them in person. There were some surprises. Some things, like the penicillin samples, were much smaller than expected. Others, like the recording voltmeter, were much larger. We settled on the layout for the three cases. We also made a list of supports/mounts needed to display the artifacts in the best way possible. Label sizes were defined and fun was had by all. Hopefully this will pay off when we set up the exhibit in its final form! As we get closer to the opening of our exhibit we must turn our attentions to the trace that we will leave on this project: our exhibition labels. Though seemingly a minor point, choosing the typeface for these labels is proving difficult. The labels are not large, and as such we must pick a font that is legible and clear, even if printed in small letters. Moreover, we do not want a font that is too flashy, lest it detract from the message on the label, or the objects in the exhibit itself. We have decided to limit ourselves to the easily accessible MS Word font collection. So far, the fonts Georgia, Perpetua, Garamond, Didot, and Bell MT have all been listed as possible contenders for our final typeface. What do you think? E-mail us at traces.mhs.oxford@gmail.com if you have any suggestions or opinions. We’d love to hear from you! 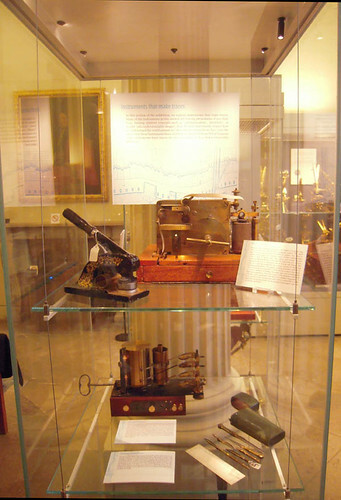 These baro-, thermo-, anemo-, and electrograms were recorded using meteorological instruments at the Radcliffe Observatory (currently, the main building of Green Templeton College) from 1861-1874. 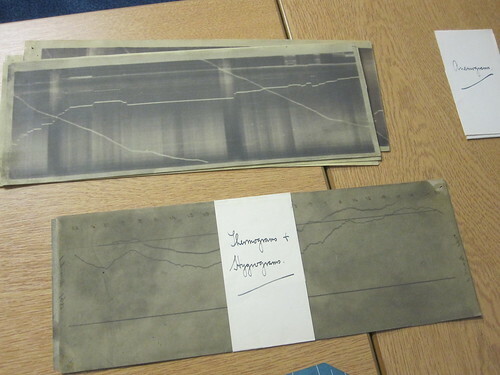 They were recorded on waxed-paper using a method developed by William Crookes in 1854 when he was a meteorological assistant at the observatory (1854-1856). Crookes was particularly interested in how the new technology of photography could be applied to scientific endeavors. We find these traces particularly haunting because they record something so transient: the daily weather. No two days are exactly the same, and it is difficult for us to retrospectively determine with any sort of accuracy past weather on a specific day. Though these objects are not entirely useful since we are lacking the knowledge necessary to read them properly, we do have a vague understanding of what they are trying to convey due to the markings on the images themselves and the envelopes that contain them. 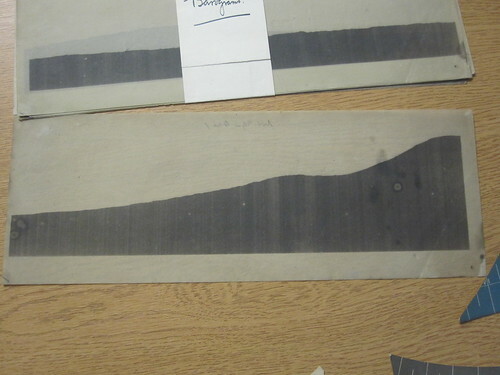 Using these waxed-paper photo-meteographic recordings (and sun-recordings), we can get a glimpse into Oxford’s very own forecast of over a century ago! Unidentified Piece of Wood Marked “25 Aguilas”, Mexico? We came across this object in the museum’s collections very early on, and it immediately struck us as an obvious contender for the ‘objects without trace’ category. 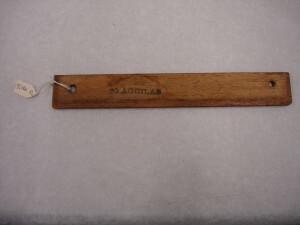 This piece of mahogany wood has the letters ’25 Aguilas’ stamped on one side. It would seem therefore that this piece of wood might come from Las Aguilas in Mexico, and the museum label suggested that it was perhaps part of a cigar case. This is all we really know about it. What this object really shows however is the power that the whimsical decisions of curators have over our understanding of the past. 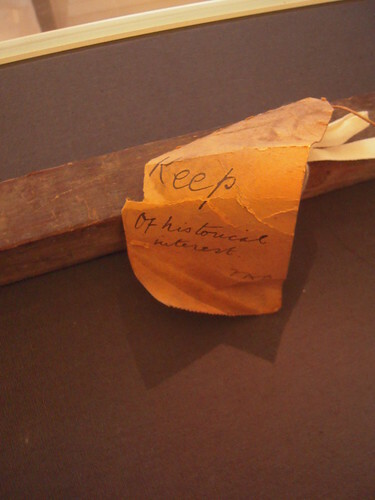 No one knows how this piece of wood, which would otherwise probably have ended up in the rubbish, ended up in the museum collection, but it has been diligently stored and catalogued and so survives to this day for us to ponder over. This piece of wood is an enigma in so many ways- when was it made? Who stamped the letters on the side? What do the letters mean? What was is it used for? Did someone scoop it up into their pocket, paying the cigar salesman as the ferry was leaving, transporting it across the ocean? Did they exhibit it proudly at Oxford dinner parties as they regaled their colleagues with tales of their Mexican adventures? Did it slip out of their pocket in Broad Street one rushed morning, to lie helpless on the ground, crushed into pieces by a passing vehicle, until only the proud frontispiece testifying to its heritage remained? Was it spotted by a young curator assistant on his way into work, entranced by its exotic markings, who begged his employer that it deserved a place in the museum’s collection, only for it to be shut up in the depths of the store room, labelled and quickly forgotten as more exciting finds came in? Sadly the vision of this zealous curator will not be ratified by this exhibition: it would seem that at one time the Museum had a great fondness for conserving mysterious pieces of wood, and we have found a piece of wood even MORE enigmatic than this one (coming soon). For now, at least, this piece of wood will remain in obscurity. But we’re certain there’s a story there somewhere. While assembling the exhibition we spent a lot of time thinking about how we use instruments to trace our own lives, and how the images that these instruments create affect our understanding of our lifestyle. Here is an example of one such instrument which did not make the final grade but is nonetheless a fascinating instrument. 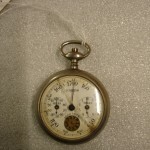 It is a pedometer made by H C French in the early 20th century. Although we think of a concern with exercise as a relatively new phenomena, the museum in fact has pedometers dating as far back as the 17th century, some of which were extremely intricate. Early modern doctors such as George Cheyne thought that exercise was important as it promoted the circulation of the four ‘humours’ which made up the body and prevented any obstructions which could cause disease. By the early 20th century an understanding of the relationship between exercise and health existed which was much more in line with modern understandings, with a belief that walking was particularly useful for keeping the heart healthy. This Pedometer could also have been used for measuring distances, the most effective way to measure journeys was to walk them! This pedometer has a main dial recording yards and three smaller dials for recording miles, tens of miles and thousands of miles. This shows that the owner must’ve been anticipating walking an impressively long way! 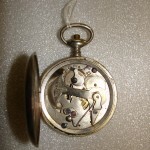 The pedometer’s insides are still in tact and we can seen that it functioned with a simple swaying method which turned the cogs as the owner walked- not entirely dissimilar from modern pedometers. Using this people of the early twentieth century could trace their everyday journeys, recording every step that they made along the way. It is exciting to imagine the kind of journeys that such a device would’ve recorded and the things that the owner would’ve seen and experienced while using it. 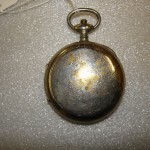 Sadly time has left its own trace on this charming object and it is now too rusted and scratched to be put on display. This oddly-shaped tool has many functions! A keen schoolchild, an innovative engineer, or perhaps a skilled artist may have used this multi-faceted instrument. It has a striking appearance, as the shape is both irregular and beautiful, allowing for multiple functions. This instrument blurs the lines between trace-leaving object and one that has traces left on it. Without the human marks that indicate the angles for the protractor function, the distances for the ruler functions, or the names and sizes of the shapes it could be used to draw, it would be a puzzling and useless instrument indeed. However, it is precisely because those marks have been left on this instrument that we have, and still are, able to use this object for a variety of purposes. 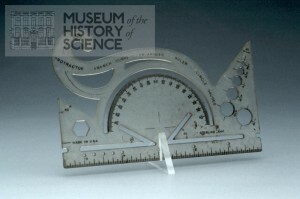 Thus, this protractor, stencil, and ruler offers us a glimpse into the interactions between man and instrument in order to create meaning and function. This WordPress site is hosted by the Museum of the History of Science and is using the l2aelba Theme.